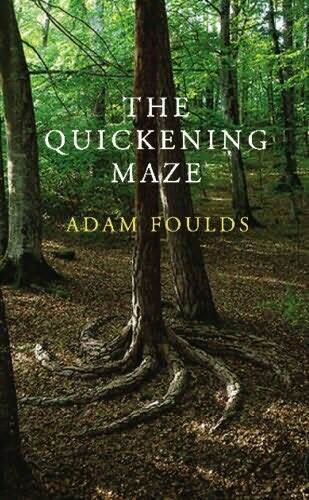 The Quickening Maze is a tale of mysterious journey through a poetic mind’s endless intricacies and Adam Foulds makes it look like every word should be a part of a beat and every sentence a song. The protagonist (if we can call him that!) poet John Clare takes us through the different entanglements of the human mind. Stuck in Dr. Mathew Allen’s asylum, John Clare feels imprisoned and longs to meet his childhood love, his wife and his children. Dr. Allen’s family has been brought under a lot of scrutiny as the charismatic doctor falls prey to the greed of modern industrial world and begins to neglect his asylum. The different characters of the asylum have been perfectly painted, each with one’s own specialty. Simon the idiot, Margaret who strives for the “Lord’s Blessing”, Charles Seymour the count lost in love, the good mad in the “Fairmead House”, the absolutely blaring lunatics at the “Leopard’s Hill Lodge”, all add significant twists to the tale. And into this dark and unending maze, enters Lord Alfred Tennyson to stay close to his brother Septimus, a patient in the madhouse. Alfred Tennyson, in the book, is a dashing young poet mourning the recent loss of his best friend Arthur Hallam and embarrassed by the Tennyson family’s history of mental illness. The Allens are the perfect family that Tennyson envies in all sincerity. The family lives and breathes softly under the shadows of an over ambitious father, even the youngest Abigail has a small role to play in the story. Every character has been done justice and above all else, the poetry of it all has been done justice. While John woefully starts of a sonnet looking for his beloved Mary in the woods, Tennyson, the mourner, sees a “white fabric, candescent, pure, flowing through itself, surging, charged, unlimited.” All the metamorphosis of living beings, he says. It’s easy to figure out why Foulds was the only one who could come with a story so perfect. He knows what it takes to be a poet: the energy, the restlessness, the insane torture of it all! He had said in an interview of his books, “These books wouldn’t be arising if what I was struggling to articulate was not occluded in some way.” brings us back to why he is so perfect. All of us poets, (if I dare to call myself that!) are living in a tormented world. So was John Clare, only his world was a bit crueler. It gnawed at his flesh and left him scarred for life. This is a story of his descent; it’s a story of the fall of charisma and the story of life just moving swiftly along. Do read it. He didn’t disappoint me at all. And Foulds, with that intense gaze you can look right through any story but then that’s what petrifies us all right?